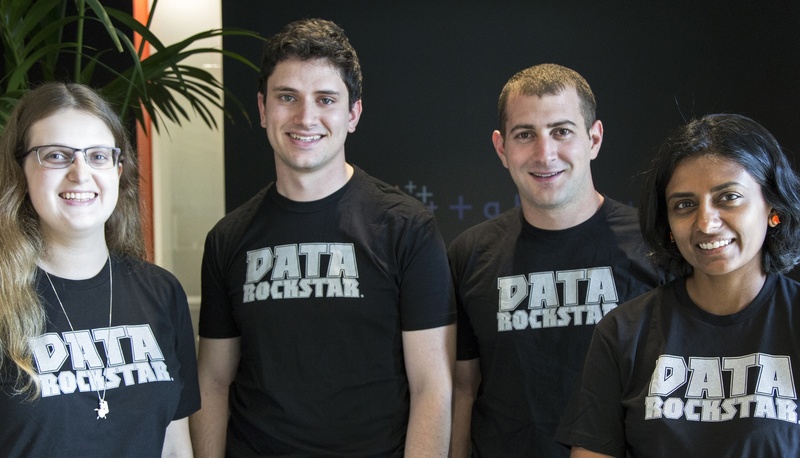 ClearGraph founders and Tableau developers will work to integrate natural language query technology into Tableau—from left Naomi Bancroft (Tableau), Ryan Atallah (ClearGraph), Andrew Vigneault (ClearGraph) and Vidya Setlur (Tableau). Tableau has been singularly focused on our mission to help people see and understand their data since we were founded 14 years ago. Today, we announced that we’ve taken another step forward in our mission by acquiring ClearGraph, a company that enables smart data discovery and data analysis through Natural Language Processing (NLP). We will immediately begin working with the ClearGraph team to integrate its technology into our products to make it even easier to interact with data through natural language. ClearGraph’s founders, Andrew Vigneault and Ryan Atallah, and the rest of the company’s team are joining the Tableau development team in our Palo Alto office. Andrew and Ryan founded ClearGraph because they saw a need to bridge the gap between humans and computers through natural language, especially when it comes to exploring data. Whether you’re an executive who needs a top-level answer quickly, on a mobile phone or want to search for a particular answer, the ability to interact with your data through a conversational style search simplifies how you get answers quickly. Acquiring ClearGraph will help us accelerate our efforts to bring NLP to Tableau and help customers make the most of their data. Please join us in welcoming the ClearGraph team to the Tableau community and read more about the technology by visiting www.cleargraph.io or watching the video below. AMAZING and Cheerful! Looking forward to hear more and more good news like this!